Welcome to this main floor condo in the desirable Villas at Kenrick! Located in a beautifully maintained community offering a fantastic clubhouse, pool & tennis/pickle ball courts. 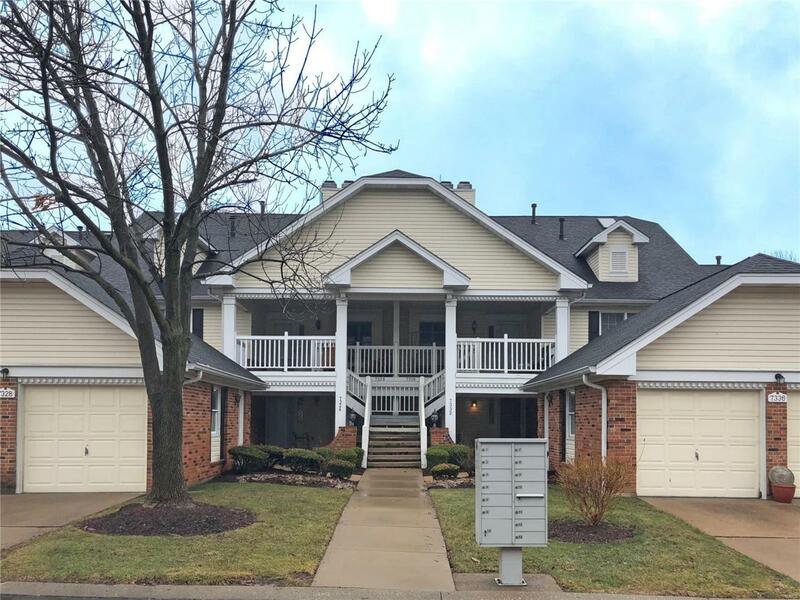 Enter this lovely condo from the covered front porch to find an inviting foyer w/a view of the fabulous open floor plan featuring a living room highlighted by the marble surround gas fireplace, dining room w/wet bar and an updated eat-in kitchen with white wood cabinets and granite counters. Both the dining room and kitchen open to a wonderful 19' X 10' private deck. French doors graciously open to a large master suite with en-suite bathroom, walk-in closet & convenient main floor laundry. Two additional bedrooms & a 2nd full bathroom complete the main floor. The open staircase leads to the lower level's huge family room with walk-out to a charming patio with brick wall surround, handy kitchenette & the condo's 3rd full bathroom. Tons of storage plus a two car attached garage. Great Condo, Location & Price!